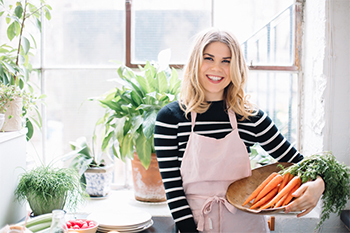 Nutrition, wellness and self care are at the heart of our fabulous ambassador Madeleine Shaw’s recipes. As yummy mummy herself, in a recent article for Gurgle magazine she discusses her top tips for feeding toddlers healthy and nutritional food, and how to include five a day in their diet. It’s no secret when it comes to food toddlers can often be fussy, opting to eat sugary snacks and refusing to eat food that is much more beneficial for them – does dicing vegetables extremely small and hiding in a bolognese ring a bell? Madeleine is a particular fan of rustling up protein pancakes for her little one using our Braddock White duck eggs which not only great taste, but are packed with protein too. Quail eggs make a delicious bitesize snack too.